What are the health benefits of oranges or organic orange juice? If you’re like most people, you first think of the vitamin C. There’s no doubt, vitamin C is good for you and plays an important role in boosting immune function. That’s precisely why many people reach for oranges during cold season or when they get the first inkling of viral symptoms. But, this is only the proverbial iceberg tip when it comes to health benefits of oranges. 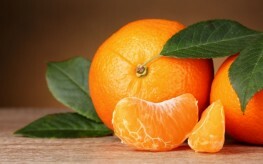 Our friends at GreenMedInfo have compiled a list of distinct health benefits of oranges and the evidence to back them. This fruit has profound medicinal properties that are often overlooked. In a world that depends on pills more than proper diet, learning about these benefits could save you some money and some downtime. Here are 7 health benefits of oranges. 1. Orange juice can boost “good cholesterol” levels – A study in 2000 found that drinking just 750 mL of orange juice each day could improve blood cholesterol levels. In a period of only four weeks, the LDL-HDL cholesterol ratio was decreased 16% in participants with high cholesterol. 2. Orange juice can work to dissolve kidney stones – “A 2006 study found that orange juice consumption was associated with lower calculated calcium oxalate supersaturation and lower calculated undissociated uric acid, two indices of lowered urinary calcium stone formation,” reports GreenMedInfo. 4. Orange aromatherapy has multiple benefits – The scent of oranges, whether through the real thing or essential oils, can reduce anxiety, produce feelings of well-being, and induce calmness. One study in 2005 found the ambient scent of oranges worked to improve mood and decrease anxiety in people waiting for dental treatment. 5, 6, 7. Oranges have also been shown to reduce inflammation, increase bone health, and boost weight loss efforts. Including oranges in your diet could increase your health. But, make sure your oranges and orange juice are organic – no one wants to eat orange juice with pig genes! Better yet, juice your own organic oranges to make sure you are getting all of the good stuff and none of the additives and “extras” in the store-bought variety.